2018 eValue8 survey results by the Washington Health Alliance found Kaiser Permanente’s HMO plan the top overall in Washington and top in four categories. SEATTLE – Kaiser Permanente Washington’s care-and-coverage combined model earned top ranking in the nation for helping members manage acute conditions and helping members manage chronic conditions, according to the 2018 eValue8 survey results. Kaiser Permanente’s Washington state HMO plan was also rated No. 1 in the state for how well the health plan is meeting members’ needs, improving quality, and reducing the cost of care. Kaiser Permanente underwrites the medical insurance available through the Business Health Trust’s Small-Group Community-Rated Program. The unique care-and-coverage combined model means members have a single integrated network meeting their health care needs. Primary and specialty care, pharmacy, and labs are usually all under one roof to help make care more convenient. Care is driven by value and effectiveness, not fee-for-service, and research and continuous innovation mean patients get excellent care. Kaiser Permanente’s popular model is expanding quickly in Washington and the organization is adding four additional medical offices in 2020, in addition to a new facility recently opened in Gig Harbor. Kaiser Permanente, which includes Kaiser Foundation Health Plan of Washington, is committed to helping shape the future of health care. We are recognized as one of America’s leading health care providers and not-for-profit health plans. Founded in 1945, Kaiser Permanente has a mission to provide high-quality, affordable health care services and to improve the health of our members and the communities we serve. We currently serve more than 12.2 million members in eight states and the District of Columbia. Care for members and patients is focused on their total health and guided by their personal Permanente Medical Group physicians, specialists and team of caregivers. Our expert and caring medical teams are empowered and supported by industry-leading technology advances and tools for health promotion, disease prevention, state-of-the-art care delivery and world-class chronic disease management. Kaiser Permanente is dedicated to care innovations, clinical research, health education and the support of community health. For more information, go to: about.kp.org. Business Health Trust was started by the Seattle Metropolitan Chamber of Commerce in 2007 so that small businesses and non-profits could offer their employees the health benefits they need to stay competitive, and provide health insurance for groups that might not otherwise be able to afford coverage. Membership in any of the above automatically qualifies you for Business Health Trust (at no additional cost), and all the advocacy, resources and savings that go along with it. You can join any Chamber or association, regardless of where your business is located and still qualify for benefits through Business Health Trust. Learn more about other benefits available to members of Business Health Trust on the What We Offer page. For Business Health Trust partner Delta Dental of Washington, preventive care means having a healthy smile that doesn’t break the bank. But research by the American Dental Association shows the majority of patients don’t see the dentist due to finances. This is a problem because ignoring mouth and tooth pain can lead to something much more painful (and expensive) over time. Fortunately, getting proper oral care doesn’t have to break your personal budget. Use these tips to get help make preventive care a regular and affordable part of your oral care routine. Step 1 – Activate Your free MySmile account. All you need is your Delta Dental ID number. Step 2 – Learn about your dental plan and get familiar with how it works. Step 3 – Find a dentist If you don’t have one already. Step 4 – Get your teeth cleaned every year. Your insurance covers it! Step 5 – Use our cost estimator tool to avoid surprises, just in case you do need dental treatment. For more tips like this, visit Delta Dental of Washington’s oral health blog. 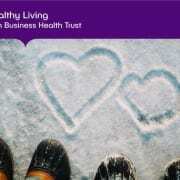 Did you see the February edition of “Healthy Living with Business Health Trust“? Our monthly newsletter offers small employers in Washington the information and tools they need to design and manage a competitive employee benefits program, help their employees make good use of medical and wellness benefits, and keep up-to-date on policy issues that affect small businesses in the state. Subscribe today to stay up-to-date with Business Health Trust! https://businesshealthtrust.com/wp-content/uploads/2019/02/BHT-Feature-Photo-Feb19.jpg 589 757 Mai Ling Slaughter https://businesshealthtrust.com/wp-content/uploads/2018/07/logo.png Mai Ling Slaughter2019-02-20 08:25:182019-02-19 13:31:39Ready for Spring? Boost Your Immune System Now to Start the Season Strong! Is Your Mouth Ready for the Most Romantic Day of the Year? 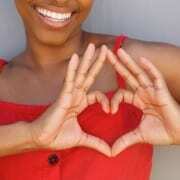 When was the last time you showed your teeth some love? If it’s been a while, chances are that you may not be ready for Valentine’s Day, which is almost here! That means right now is the perfect time to focus on making sure your mouth (and your breath) are in tiptop shape and ready for anything the month of romance may bring. To help you get a head start on Valentine’s Day, here are some of the best tips we’ve put together to ensure you have the cleanest kisser for the month of February. If you haven’t done so, the beginning of the year is a good time to get your yearly teeth cleaning done. A deep clean will help give your mouth the jump start it needs to keep your breath fresh for Valentine’s Day and beyond. Before you make an appointment, make sure to activate your MySmile account so you can get familiar with your benefits and options available to you. It’s not romantic, but the truth is that our mouth and tongue are inundated with bacteria. One of the best (and most forgotten) ways to combat bacteria in your mouth is to brush your tongue regularly with a tongue scraper. You’ll know your tongue is squeaky clean because it will be a fleshy pink color. Bad breath is not only the ultimate mood killer, but it can also cause major health problems down the line if left untreated. An easy first step you can take to get rid of bad breath is to start flossing every day and night. Because flossing keeps bacteria from building up in the small nooks and corners of your teeth, you’ll have much fresher breath that you and your valentine can enjoy. https://businesshealthtrust.com/wp-content/uploads/2019/01/DDWA_724x483-Feb19.jpg 483 724 Mai Ling Slaughter https://businesshealthtrust.com/wp-content/uploads/2018/07/logo.png Mai Ling Slaughter2019-02-01 08:07:022019-01-11 13:19:42Is Your Mouth Ready for the Most Romantic Day of the Year? Beginning January 1, 2020, family and medical leave will be available through a state-administered plan to all employees employed by an employer in Washington state. Funded by premiums paid by both employers and employees, family and medical leave insurance benefits will be payable by the Employment Security Department to employees during a period in which they are unable to perform their regular or customary work because of the need for family and medical leave. Washington Paid Family and Medical Leave (WPFML) is funded by premiums paid by both employers and employees. Premium assessment began on January 1, 2019. 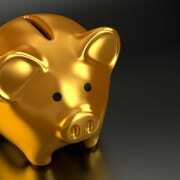 The law sets the initial premium rate at 0.4 percent of wages. 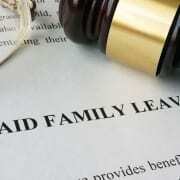 Medical leave benefits equal 2/3 of the premium rate and family leave benefits equal the remaining 1/3. Employers are responsible for 55 percent of the medical leave premium. Employees are responsible for 45 percent of the medical leave premium and up to 100 percent of the premiums due for the family leave. Employers may elect to pay all of the premiums or deduct the employee portion of the assessment from employee’s paychecks. The amount of wages subject to a premium assessment is capped at the maximum wages subject to social security tax. Employers with less than 50 employees working in Washington state are exempt from paying the employer portion of the premium; however, their employees must still pay the employee share. An eligible employer with an approved “voluntary plan” may “opt out” of the state program provided the employer’s plan allows the employee the same or more generous benefits. Voluntary plans are paid family and medical leave benefits offered by employers directly to their employees, outside of the state plan. Voluntary plan applications must be submitted through the state’s online portal and approved by the state. If approved, voluntary plans can only take effect at the start of a calendar quarter and must stay in effect for one year. The state is in the rulemaking process of this law, which means it is still developing the scope and content of the rules for the Paid Family and Medical insurance program. Archbright will continue to monitor the rules and update members as information is available. As an online member of Archbright through Business Health Trust, you have 24/7 access to the HR Toolkit, a collection of hundreds of documents including policies, forms, templates, letters and guidance. This library also includes our comprehensive WPFML KeyNote and FAQ resource to help members like you navigate this complex new law. You are also invited to attend our upcoming Virtual CoffeeTalk where Erin Jacobson, Staff Counsel, and Joy Sturgis, HR Advisor, will explore WPFML. Join us at this free event as our experts review the legislation and the scope and content of the rules that the State is scheduled to roll out. When: March 18 | 9 – 10:30 a.m.
Visit Archbright.com to register today! This is where your oral health routine comes in! It’s easy to forget how connected our oral health is to our bodies, but don’t be fooled. Poor oral habits can lead to diseases like endocarditis and cardiovascular disease. If you’re pregnant, it’s even more important to keep up with your dental care as conditions like periodontitis has been linked to unwanted birth defects like premature birth and low birth weight. So, what is the easiest way to avoid these dental-induced health dilemmas? Set healthy oral health goals for 2019, and commit to sticking with them. Many people, even those with dental coverage, do not take advantage of this benefit. Think about going to the dentist the same way you would your yearly flu shot vaccine. Preventative care can only help if you decide to use it, so do your best to take advantage. Want to be reminded when it’s time for your yearly cleanings? Make sure to register your free MySmile account and we’ll handle the rest. In general, habits require about 30 days of practice before they become second nature to you. In the spirit of breaking bad habits, the start of a new year is the perfect time to put a sunset date on that smoking habit that may be yellowing your teeth, or practice relaxation techniques to prevent you from grinding your teeth at night or when stressed. Add regular flossing to your hygiene routine and you can have a tremendous and positive impact on your oral health. Because our teeth develop with five unique surfaces, brushing alone isn’t enough to remove bacteria and plaque buildup. Even with an electric toothbrush, nothing is quite as effective as taking the time to floss. If you find that you’re having trouble keeping yourself accountable, try to make flossing fun by challenging a friend or a partner to a flossing challenge for 2019. Do you have health goals for the new year? Join the conversation and share them with us on Twitter! 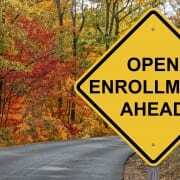 You have choices when selecting a health plan during open enrollment. That’s a good thing, but it does mean you need to take action to find the right options for you and your family. Call your favorite family doctors. Do they work with the plan you are considering? If not, are you willing to choose a new doctor? Compare the different types of plans. One way to help you compare them is to look for a summary of benefits, which highlight plan differences. Consider prescription coverage. Are your regular medications covered? Can you save on generic versions or by receiving prescriptions by mail? Tip: Sleep on it. If possible, allow yourself at least one night to mull over your choices. That way, you’ll be more confident you made the right call. Getting a flu shot is one of the best ways to protect yourself from getting sick. The flu virus changes every year, so you should get the vaccine each year. 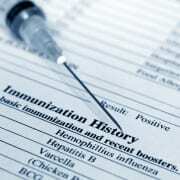 According to the U.S. Centers for Disease Control, everyone over the age of 6 months should get a flu shot. You can get a flu vaccination at almost any in-network pharmacy or doctor. If you go to an in-network doctor or pharmacy, your flu shot is free*. * If the flu shot is your only reason for your office visit, the visit will be fully covered for members enrolled in Premera medical through the Business Health Trust. If you have other care or services as part of the office visit, you may responsible for all or part of the cost of the visit. You may need to pay up-front at your pharmacy. Go to premera.com to download and submit a medical claim form to be reimbursed. Tip: Find an in-network doctor or pharmacy by visiting premera.com and using the Find a Doctor tool. Yes, experts agree, staying on top of preventive care is the best way to keep your smile healthy. Why? Every day, plaque and tartar buildup on and between your teeth. Daily brushing and flossing remove most of it, but dental cleanings get it all. Hygienists use professional toothpastes—ones that remove 35% more stains than at-home brushing. Like plaque, bacteria hide in your mouth’s hard-to-reach crannies. A cleaning removes deposits on teeth near the gum line. During a dental exam, your dentist checks for signs of tooth decay, gum disease, and oral cancer. Though a single dental cleaning isn’t an instant fix, one appointment can make a big difference. Schedule your next visit today! Find an in-network dentist near you with MySmile®. Register now.